Happy Friday everyone! 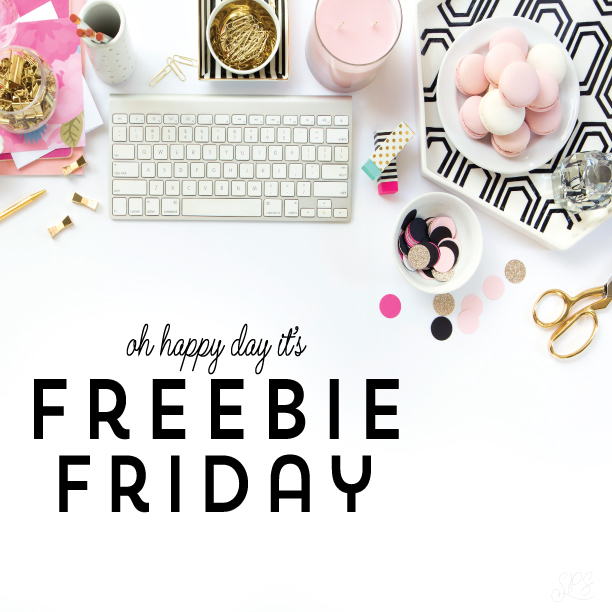 Have you checked out the Freebies page yet? 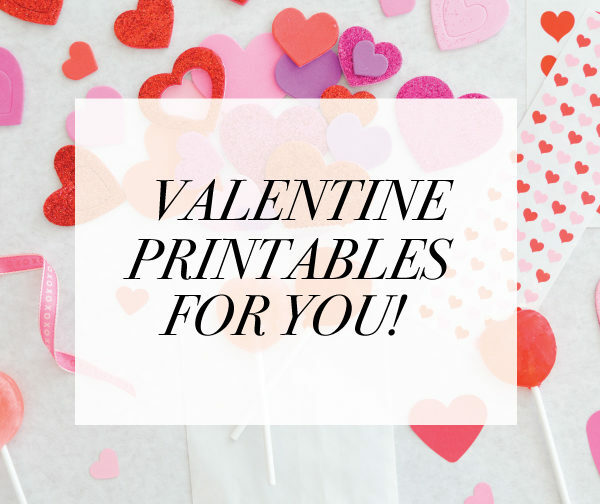 It’s full of printables for you to enjoy. Recipe cards, a monthly calendar and fill in the blank invitations. 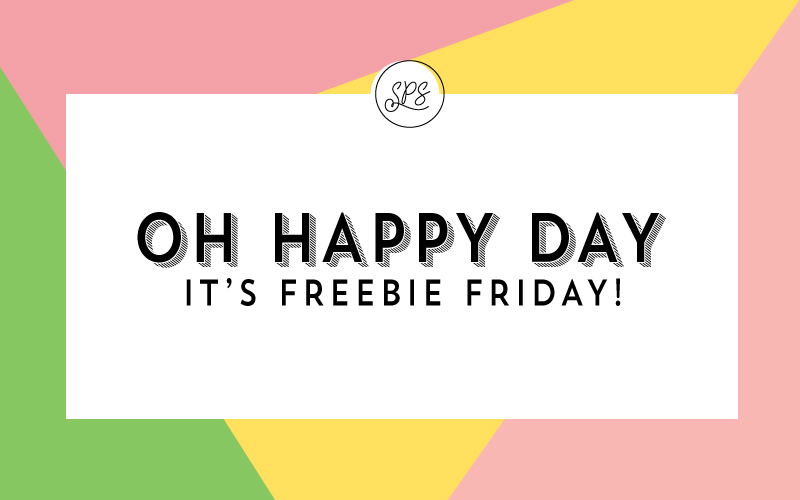 I will be updating the page each month and sharing occasional freebies with you on Fridays. 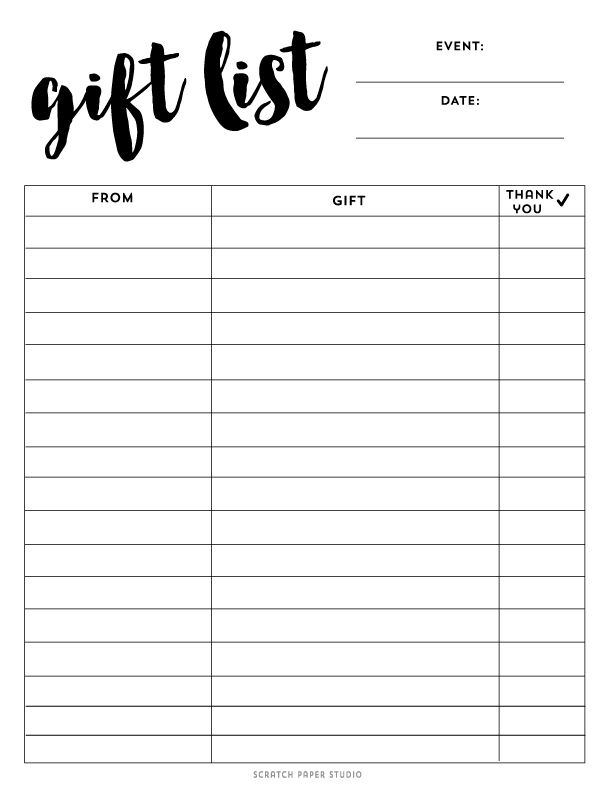 Today’s freebie is to help you keep track of who gave what gift at your next birthday, baby or bridal shower. Instead of finding a random piece of paper, print out this gift list. There is also space for you to check off when the thank you note is sent. Enjoy! Keep track of all the gifts with this list for your next celebration and check off when the thank you note has been sent. 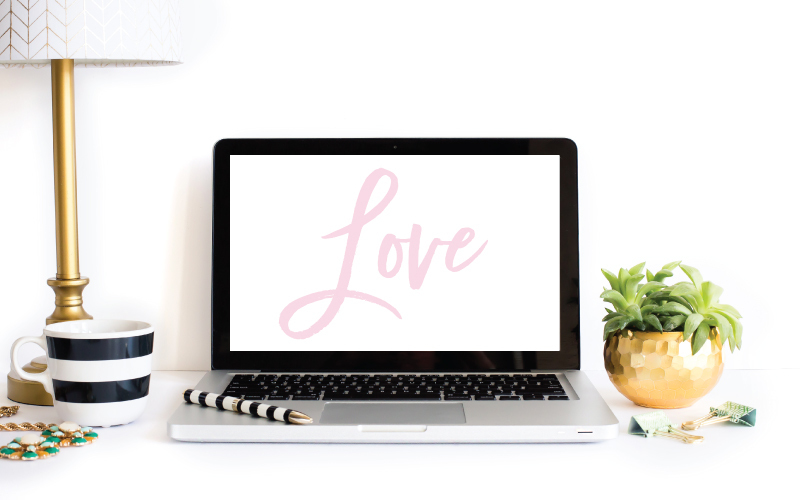 NEW Downloads for February !